VectorCommand and IAMTech have signed a ground-breaking agreement which will see IAMTech share their knowledge of industrial emergency response with VectorCommand with the goal of "providing a world class software solution". This agreement will see VectorCommand use the industrial release modelling techniques of IAMTech to expand the capability of their operational incident management system CSS. The CSS is used to provide a Common Operational Picture to incident commanders in the emergency services, including London Fire Brigade. 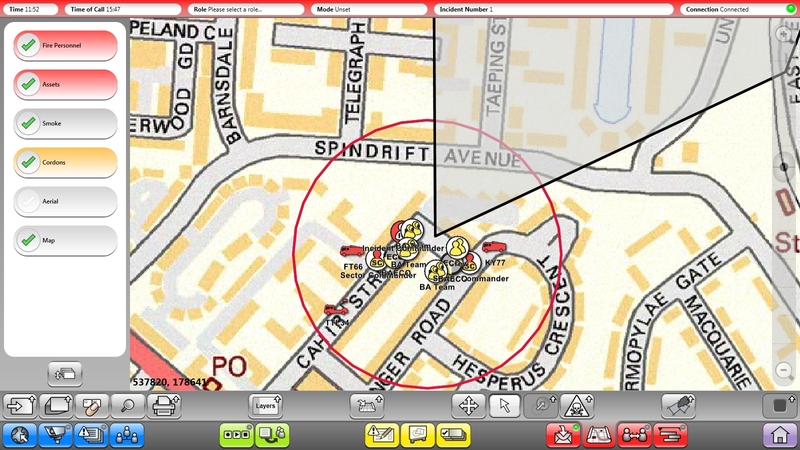 VectorCommand Managing Director, John Hunter: "CSS provides dramatically improved situational awareness to leading incident management professionals, including the world's third largest fire service, London Fire Brigade, and over 50% of the UK fire and rescue services, as well as to South Australia Metropolitan Fire Service, Qatar Petroleum and the UK's Atomic Weapons Establishment. The VectorCommand and IAMTech products naturally complement each other and this partnership further re-enforces the development of innovative software solutions for incident management. IAMTech Managing Director, Ross Coulman added: "We are proud to be recognised by VectorCommand as experts in industrial emergency release modelling and to be asked to impart our knowledge of hazardous events and how to mitigate their consequences. VectorCommand are recognised as industry leaders in, command and control and tactical command training and by utilising our expertise in release modelling I am sure that together we will further advance VectorCommand’s already world-leading solution."